Friday, December 11, 2009 - Pikko.info, " Welcome to visit on our info site." Keduanya merilis Google pada 4 September 1998. Saat itu, mereka baru berusia 25 tahun dan 24 tahun. "Kantor" pertama mereka adalah garasi.Google, mesin pencari yang bisa menampilkan segala jenis informasi ini, disukai banyak orang - terutama para mahasiswa. Maka, hanya dalam tempo waktu beberapa tahun saja, Google bisa berkembang amat pesat dan meraup keuntungan miliaran dollar AS. Kini, Google bisa disebut sebagai mesin pencari nomor satu di dunia. 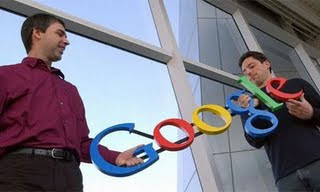 Both Google released on September 4, 1998. At that time, their 25-year-old and 24 years. Their First Office is in their garage.Thus, within only a few years time, Google could be developing very rapidly and profit billions of dollars.Now, Google could be described as the number one search engine in the world. 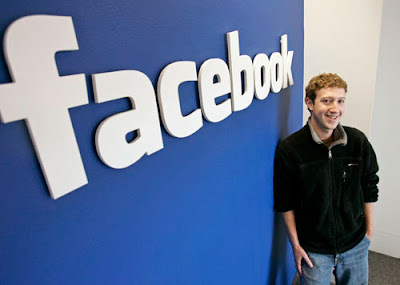 When creating a social networking site Facebook, Mark Zuckerberg was just 19 years old. 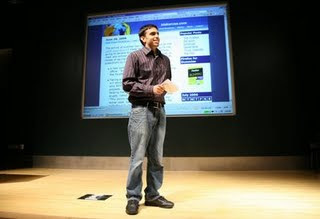 He made up for Facebook to help build a social network for teenagers in the campus at the time, Harvard University, United States. Now, Facebook is a social networking site after MySpace's second largest. Under the leadership of the founder, the site continues to grow day by day.Millions of new users continue to register every month! Ketiganya adalah pencipta dari situs berbagi video online, YouTube. Mereka mendirikan YouTube pada 2005. Ketika itu, Chad berusia 28 tahun dan Steve 27 tahun.Pada Oktober 2006, YouTube diakuisisi (diambil alih kepemilikannya) oleh Google. Nilainya: 1,65 miliar dollar AS (Rp16,9 triliun). 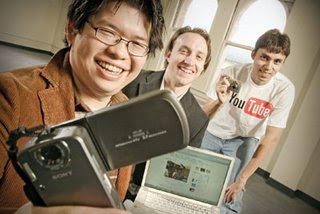 They are the creators of online video sharing site, YouTube.They founded YouTube in 2005. At that time, 28-year-old Chad and Steve's 27 years old. In October 2006, YouTube was acquired (taken over ownership) by Google. Value: U.S. $ 1.65 billion (Rp16, 9 trillion). 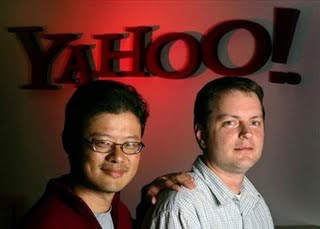 In 1995, two men were found Yahoo!, The site's second-largest search engine after Google. At that time, 26-year-old Jerry and Filo 28 years. Last year, the giant company Microsoft had wanted to buy Yahoo! Discussed the value of bids: 44.6 billion dollars (Rp458, 8 trillion). This plan was canceled. After that, Microsoft and Yahoo! Matt Mullenweg adalah pencipta situs penyedia blog gratisan WordPress. Ia mulai baru berusia 19 tahun ketika mulai menciptakan cikal bakalnya. 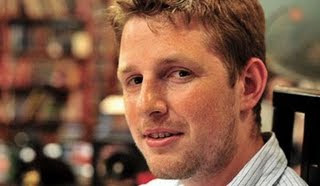 Matt Mullenweg is the creator of the site free WordPress blog provider.WordPress into fame in a short time. The reason, this site easy to use and always updated. Until the year 2008, there were recorded 230 million The access remains with WordPress 6.5 billion pages that can be seen. Then, there are 35 million additional new post with an average of four million posts per month. MySpace Tom Anderson released in August 2003. 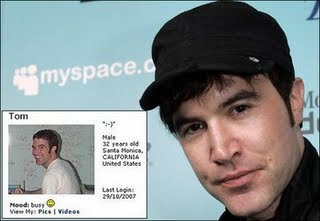 There uncertainty data on age at the time, but various sources say Tom was less than 30 years old when creating MySpace. Mozilla kemudian digabungkan dengan Firefox, program yang diciptakannya bersama Dave Hyatt. Maka, setelah itu, namanya menjadi Mozilla Firefox.Dengan cepat, Mozilla Firefox diterima para pengguna internet di dunia. Ia, antara lain, dinilai lebih aman dan mudah dipakai (dibandingkan dengan para kompetitornya). Ia juga dinilai mampu merebut sebagian pasar fasilitas penjelajah internet, yang selama ini dikuasai oleh Microsoft Internet Explorer. Blake Ross is a young genius who created Mozilla, internet explorer facility.Mozilla released to the public in November 2004. At that time, the new Blake age 19 years! Mozilla Firefox and then combined with a program he created with Dave Hyatt. So, after that, his name became Mozilla Firefox. Quickly accepted the Mozilla Firefox Internet users in the world. He, among others, considered more secure and easy to use (compared to its competitors). He is also considered to capture a majority market internet explorer facility, which has been dominated by Microsoft Internet Explorer. Many people praised the success of Blake Ross. Engineering director of the Mozilla Foundation, Chris Hoffman, saying, In the world of 'Open Source', the position of a person depends on his skills. And Blake Ross has all the skills required.